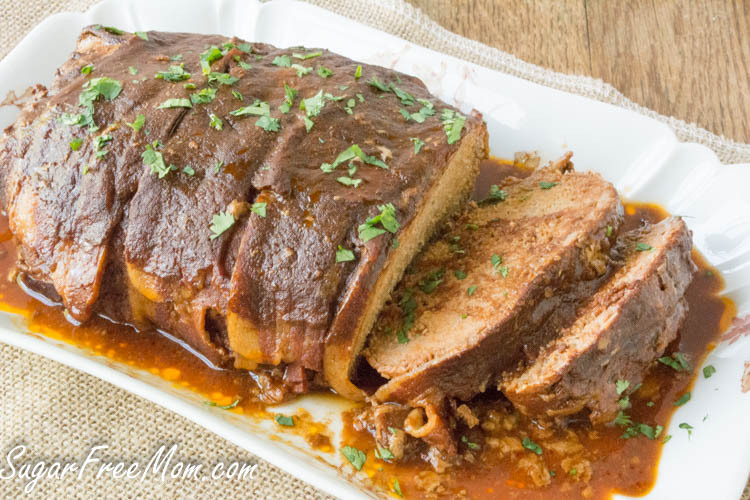 Low Carb Crock Pot Balsamic Bacon BBQ Meatloaf made without grains and no sugar added! 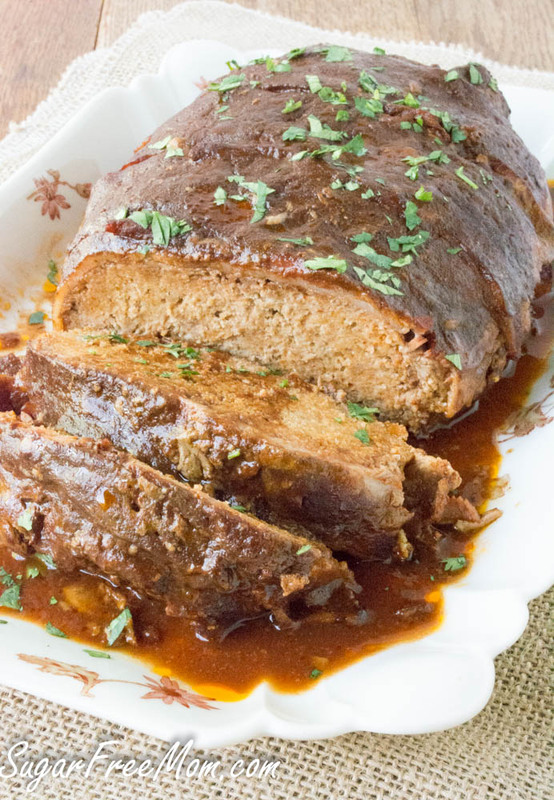 Meatloaf is a classic, “feed your family easily,” type of recipe. Easy for mom. Easy when you forgot to plan anything for dinner. Just plain easy. 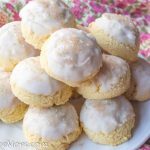 Today I’m sharing how you can take a classic, almost, dare I say, boring kind of familiar recipe and bring it to the next level. Up it’s game shall we say? 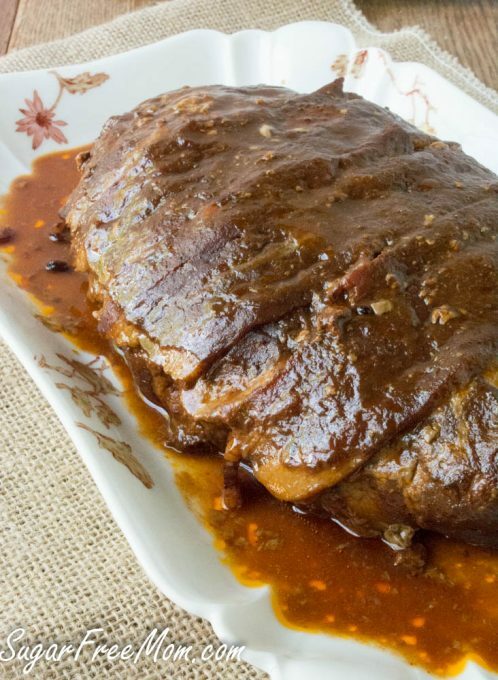 The best part is that it’s still fairly easy as easy goes, but it does require some time in the kitchen to prepare the sugar free barbecue sauce and wrap this baby in bacon. BUT, the best part is folks, this is made in your CROCK POT!!! So the rest of the cooking time doesn’t involve you waiting at home to turn off the oven when it’s all cooked and done. 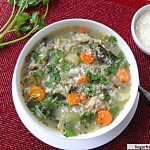 The crock pot is my best friend in any season but I love it most in summer! 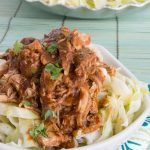 In the winter season, crock pots are a given, but have you thought about using it in the summer.? In the winter you don’t care if you use your oven and heat your kitchen. BUT in the summer, no one wants a hot stuffy kitchen. And personally I’d rather head to the beach with the kids and come home to dinner in my crock pot! I must be honest, wasn’t too sure how the hubby would like bacon that wasn’t crisp out of the frying pan. This more or less adds flavor to the meatloaf, but not crispiness. I was worried the hubby would hate it and therefore the kids might follow suite. Ok so that’s a win right? Not only does it melt in your mouth he loved my sugar free barbecue sauce and for me that is another win because this hubby of mine doesn’t follow a sugar free life as I do. He often isn’t crazy about any thing with stevia in it, but the good news is, he didn’t say any aftertaste was present. 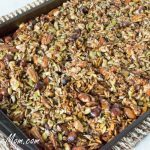 I’m confident you can pass this off to any family member whether they live low carb and sugar free or not, and they will enjoy this recipe. 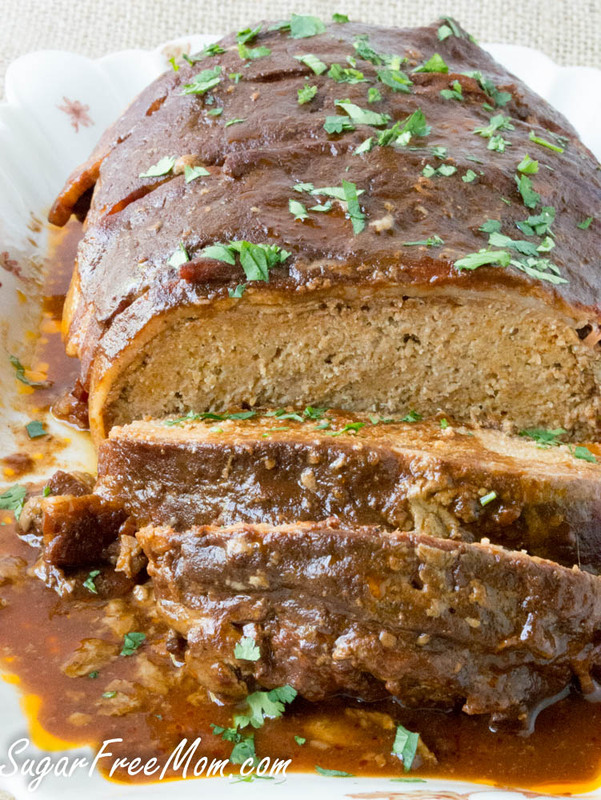 I don’t know about you but I think this meatloaf is pretty enough to serve to company! Taking ordinary and affordable meatloaf to “new company coming over” status and all made in your crock pot, how easy is life now, huh? In a small bowl combine the first 5 ingredients. Set aside. Whisk together the next 5 ingredients. Stir this into the first mixture in the bowl. Place 1/2 cup of this sauce into the bottom of the crock pot. In another large bowl mix the turkey, egg, Parmesan and dry seasonings together until just combined. Set aside. Place 5-6 strips of bacon side by side in the crock pot. Place the ground turkey mixture onto the bacon and mold into an oval or oblong shape about 10 inches long. Fold the bottom pieces of bacon up each side of the meatloaf then top with 4 -5 more pieces of bacon to cover the meatloaf. Cover the meatloaf with the remaining sauce. Cover and cook on low 8 hours or high 4 hours. I have everything to make this (almost) except the turkey and I have to go to work in 2 hours. wanted to leave something or the family. I have ground chuck. I’m afraid if I make it with ground chuck, it will be too greasy. 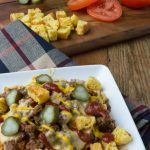 I think you could use ground chuck and it will be awesome! Now I am craving meatloaf! This is the best looking meatloaf I have EVER seen! No kidding! I have been making my meatloaf with ground turkey lately. I can’t wait to try this. I love that you made this in the crockpot! Perfect for summer – who wants to turn on the oven when it’s so hot out! 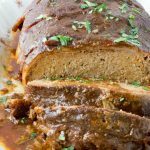 I’ve yet to try crockpot meatloaf, but yours looks really good. 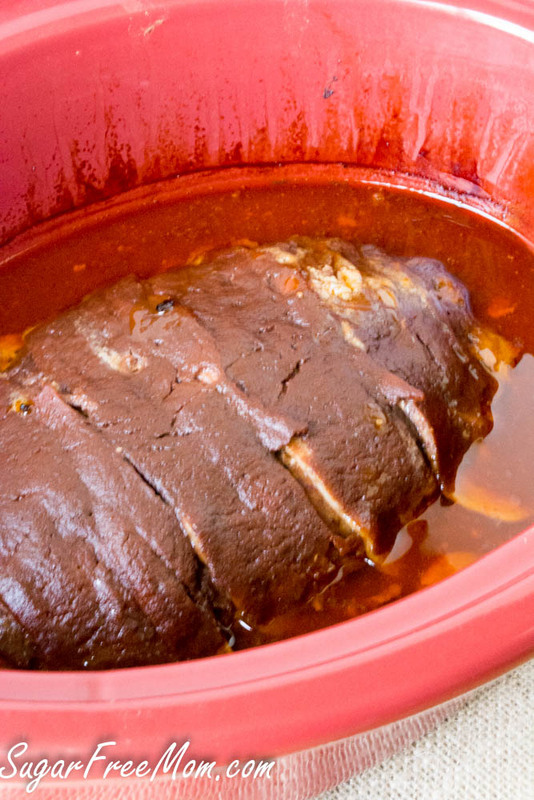 I love the crockpot especially in the summer! I miss my crockpot! Coming home to a cooked dinner was so awesome. 🙂 And this meatloaf looks wonderful! Love that it’s grain and sugar-free. I just love this meatloaf! 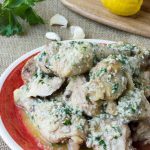 You really upped the flavor and love that you made it in the crock pot! This totally not “boring”, I mean meatloaf is a huge comfort food and since it’s made in a slow cooker that’s even better! What is it about men and meatloaf? All of my fellas love it, but I don’t make it nearly often enough. I was wondering about the texture of the bacon in the slow cooker, so I’m glad that you included your husband’s review! Bacon, bbq, meatloaf and it’s all easy to put together. Total dinner win! Meatloaf is pure comfort food to me. It’s one of my favorite dishes and one of my favorite leftovers. 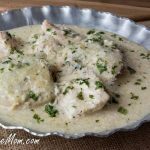 I love this crockpot version! I’ve put this in the crock this morning but when making it last night noticed you list the cumin and salt twice. Is this an error? If not how is it intended to be used? It looks fantastic, can’t wait to try it when I get home. I WOULD LIKE TO GET A COOK BOOK. I have three in my home that have hi blood I need the cook book. Oh sure that’s fine to skip bacon, it will still be good.